The Bull Run-Occoquan Trail passes through the 5,000 acres of the Occoquan shoreline parklands. Location: Bull Run, Hemlock Overlook, Bull Run Marina, and Fountainhead Regional Parks, Follows north shore of Occoquon River from Fountainhead Park to Bull Run Regional Park. The 5,000 acres of the Occoquan shoreline parklands, through which the Bull Run-Occoquan Trail passes, offer more than recreation. A valuable conservation area where upland forests and wetlands are being preserved and wildlife protected, it shelters a profusion of birds-blue heron, osprey, bald eagles, neo-tropical songbirds, resident and migrating waterfowl and other native wildlife: white-tailed deer, wild turkey, beaver, fox, and raccoon. Turtles, fish, and reptiles inhabit the freshwater tributaries feeding Bull Run and the Occoquan Reservoir, along which the largest grouping of Virginia Bluebells in the state, flower profusely in spring. 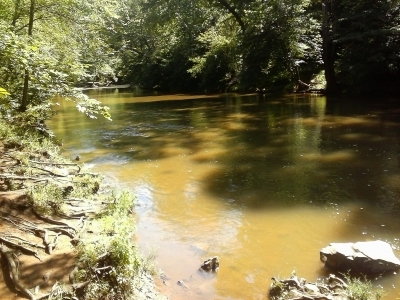 Since 1967, this 18 miles, natural surface trail along the Bull Run-Occoquan stream valley has offered hikers and equestrians a variety of challenges as it rises and falls following the blazed route, accessing four Regional Parks-each with an internal system of trails and recreational facilities. The Bull Run-Occoquan Trail, in its entirety, is currently under development as a Virginia Civil War Trail, to interpret the numerous events in this region associated with that significant period in history. 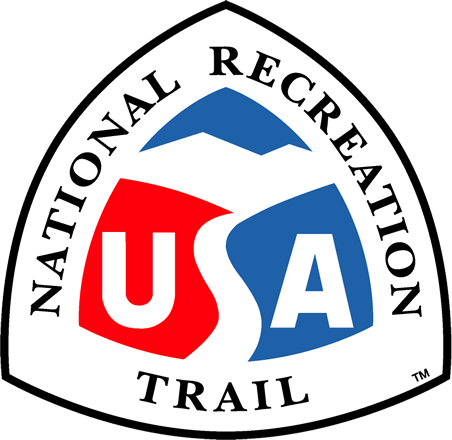 Maintenance of the trail is provided through a partnership between the Northern Virginia Regional Park Authority, the Potomac Appalachian Trail Club (PATC), REI Outfitters, the Clifton Horse Society, local Scout troops and other community volunteers. Bull Run from the Bull Run-Occoquan Trail. Photo by Jakob Coles.